A night light is a must-have when you have kids. Not so much for them but for you when you need to stumble to one of their bedsides in the middle of the night. 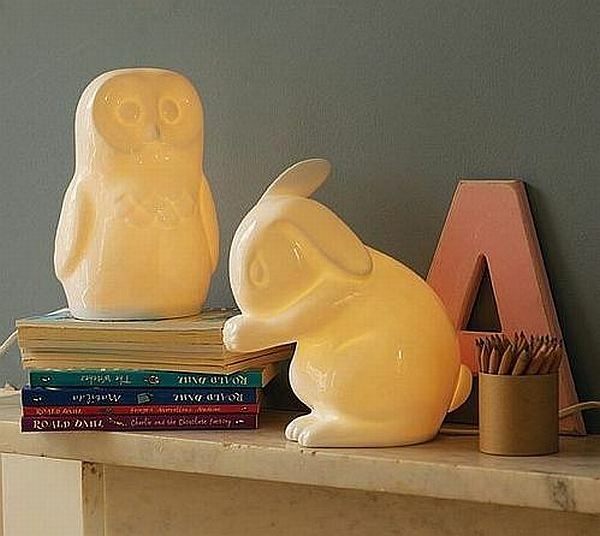 There’ll be no groping around in the dark with these beautiful lights glowing gently… White Rabbit England make these gorgeous night lights, and yes, they are as breakable as they look! Made from bone china, these are a put-up-high-where-tiny-hands-can’t-reach kind of item. But how lovely they are, so delicate and elegant. In fact, forget the kids, I’d like these in my room! 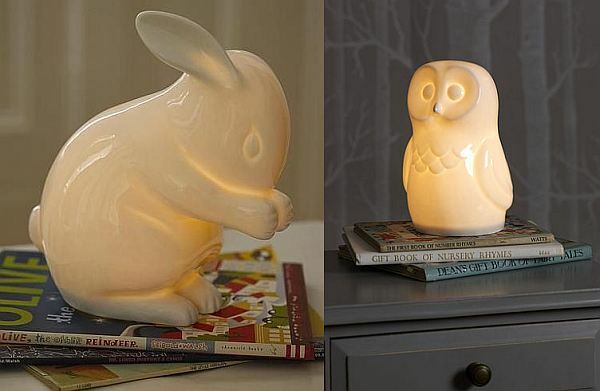 There’s a refined white rabbit or an exquisite owl to choose from. They come with a low voltage transformer plug (which you may need to change or have an adaptor for as it’s British) and bulb all ready for lovely soft lighting. Each one is £59 direct from White Rabbit England, with shipping to Australia available.